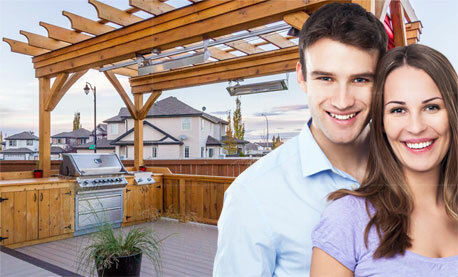 Paramount Custom Decks has been creating beautiful outdoor living spaces since 2008. Over these years we have built a reputation in the community for providing unparalleled quality, service, security and value. Increasingly we are becoming known for our design services. In Edmonton we have been selected to help design and construct decks designed by the world famous deck designer Paul Lafrance, best known for his TV shows Decked out, Disaster Decks and Deck Wars. North Americans have been moving towards low maintenance decking products such as Wood/Plastic Composite Decking and Cellular PVC Decking. With this trend there has been an explosion of new decking products and each product has specific strengths and weaknesses. 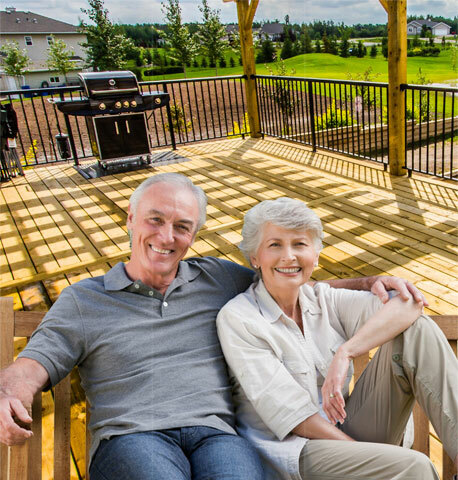 Over 80% of the decks we construct are low maintenance products such as Wood/Plastic Composites and Cellular PVC and we are the largest residential installer of these products in the Edmonton Area. Our mission is to educate you about all the options available and create an outdoor living area that meets and exceeds your expectations. If you choose Paramount Custom Decks for your project you can rest assured that you are getting the highest levels of quality, service, security and value out of your home renovation.